Step 1) Grease a 9 inch x 13 inch cake pan. Set aside. Step 2) Combine pumpkin puree, applesauce, oil, and eggs in a large mixing bowl. Stir until well blended. Add dry ingredients and blend well. 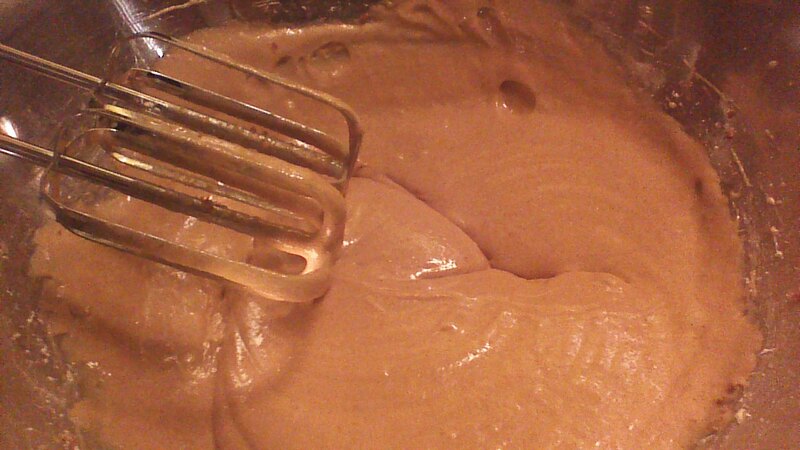 Step 3) Transfer batter to the cake pan, spreading batter evenly to the corners of the pan. 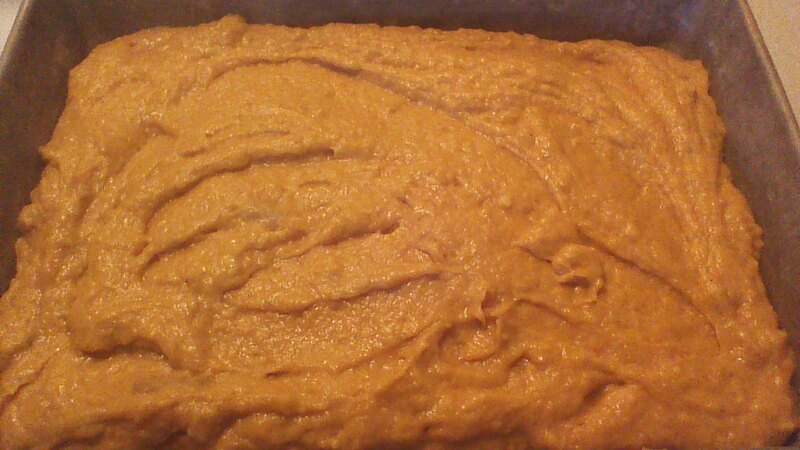 Step 4) Bake Pumpkin Applesauce Cake in a preheated 350 degree oven for 45 minutes or until a toothpick inserted near the center comes out clean. Remove cake from oven and allow to cool completely. 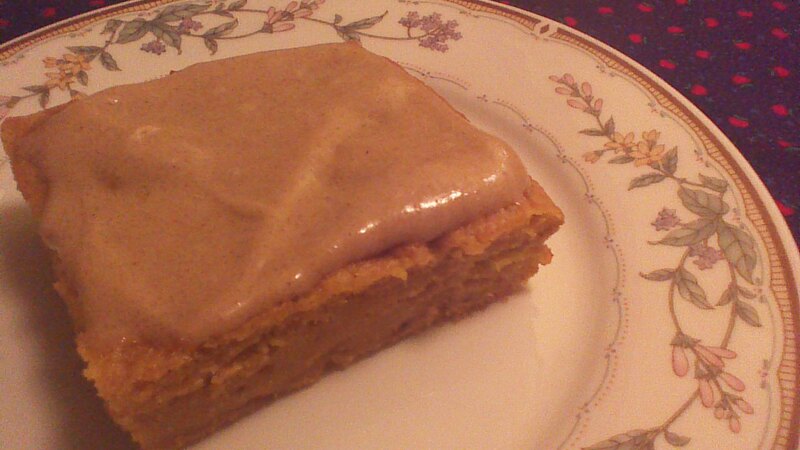 Step 5) While cake is cooling, use an electric mixer to combine cream cheese, powdered sugar, and cinnamon. Add milk, one tablespoon at a time, blending well with each addition until the desired consistency is reached. Frost cake when completely cool. This entry was posted in baking, Breakfast, Desserts and tagged applesauce, baking, breakfast, children, Cinnamon, Cooking, cream cheese, dessert, dinner, Family, Food, frosting, frugal, Homesteading, kids, pumpkin. Bookmark the permalink. This is gonna be great! I’m giving it a try today, thanks for sharing. I love your site. Also, your stuff has added much to our weekly menu. Thanks muchly.